We’ve come to the realisation that clients are no longer only looking at us to deliver great employees, clients need us to deliver great ideas. In part 3 of my blog series about the brain we’re going to imagine the future. Imagine a world where it’s not uncommon to have breakthrough ideas. A world where machines can read your brain and present you with the perfect solution to your problem. But what if I told you that you don’t need a machine to read your brain to get to solutions. What if I’m telling you that you’re just using your brain incorrectly and thus missing all the great ideas that it’s coming up with? 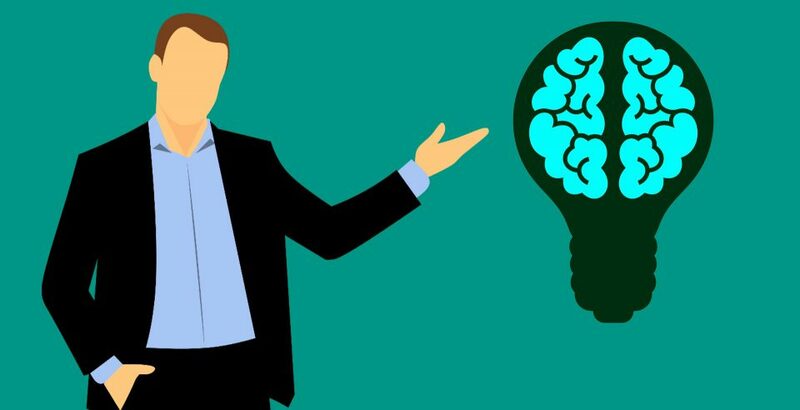 Let’s take a step back and discover how your brain can be trained for having great ideas. To understand how great ideas manifest themselves you first need to know a little bit about the brain. The brain has two operating modes; a creative / innovative operating mode and an executive / decision making mode. The book “The Net and the Butterfly” by Olivia Fox Cabane & Judah Pollack describes the creative operating mode as the “genius council”. The council is always ‘discussing’ ideas even if you’re not consciously paying attention to it. The executive part is the part that you actively use to think and the part that makes conscious decisions. The only problem is that your brain can only be in one operating mode at a time. So, what happens if you’re constantly making decisions? You’ve guessed it, your brain simply cannot ‘hear’ the genius council and thus cannot notice the great ideas. This is also where the “having great ideas in the shower” originates from. Showering is a repetitive task that (hopefully) you’ve done hundreds if not thousands of times. Your decision-making brain shuts down and voila, the great ideas from the council are able to make it to your conscious mind. When you’re pre-occupied with making decisions all the time you’re simply missing the creative solutions your brain is coming up with. Luckily this is something we don’t have to simply accept as fact. There are certain things we can do to quiet down the decision-making part of the brain and make it easier to listen to the genius council. After you’ve taken in a problem that you’d like to solve, you can watch videos on new subjects or read your diary to remember old memories which stimulates the visual centre of the brain. It can also be as simple as taking a walk outside. Once you’ve calmed down your executive part of the brain you’ll soon start to notice the solutions that the genius council is discussing. Another perfect moment for noticing the council its solutions is when you are in the hypnagogic state. Hypnagogia is the transition state where you’re going from awake to asleep. Thomas Edison was aware of this and develop a technique to optimize the use of this state. He would hold heavy steel balls in his hands when going to bed. As soon as he’d fall asleep his body relaxed and the loud thunk of the steel balls hitting the floor would wake him. Immediately after waking up he would record what was on his mind during the hypnagogic state on paper. You’ve probably experienced these effects where you would wake up in the middle of the night with a solution that you’re eager to put to work. Now you know why! Part 4 of this series is going to be about what people are doing to stimulate the genius council and to knock down barriers in the brain. We’re also going to take a look into some research that is starting to gain traction, one where certain chemicals are used to boost creativity. 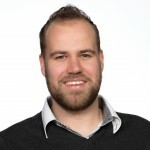 Jurian de Cocq van Delwijnen works for Sogeti Netherlands as part of the mobile team. He builds apps by craft but his passion for refining the development process has taken him far as a Scrum Master. He prides himself in being able to switch effortlessly between being a developer and taking the perspective of the business. After previously developing the Philips Hue app he works for Rabobank now, the second largest bank in the Netherlands. More on Jurian de Cocq van Delwijnen. I think this is also why planned “creative workshops” often don’t lead to very creative new ideas. Participants are much too awake!